There is now a shark tank inside the "Shark Tank." The San Jose Sharks on Thursday unveiled a 2,000-gallon saltwater shark tank at SAP Center while also announcing the opening of the arena's new, exclusive BMW Lounge. 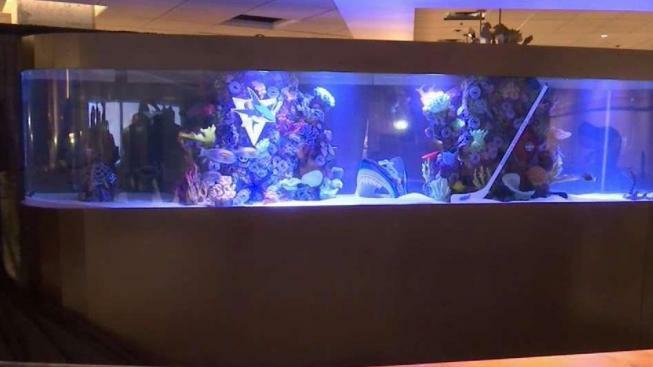 The tank was designed and installed by Acrylic Tank Manufacturing, the aquarium and exhibit design company featured on Animal Planet's hit television show "Tanked." The Shark Tank's new shark tank will be featured in an episode of the show later this year, the team said.